What is the ultimate machine for all-purpose, at-home welding? If you guessed multi-purpose welders, you got it. Equipped with both MIG and TIG welding capability, this is a welder that can handle about any metal repair in your home. But even with all they can do, choosing one for your needs is a tall order. You probably are aware that these welders are a significant investment. However, you’ll see how hard we worked to provide you with honest multi-process welder reviews based on our own objective experience with these products. 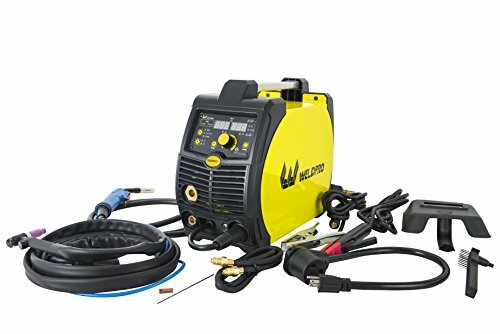 It is our hope that after reading our review of our Top 5 picks, you will be able to successfully narrow down your options, and choose the best multi-purpose welder for the money. We’re excited to declare the MTS211 Si as the best multi-purpose welder in our review! As a 2018 model, it came out of the gate blazin’ and amazin’ – for both MIG and TIG! We were particularly impressed with the versatility of the welder, backed by the digital DC CC/CV inverter, which allows you to dial in your parameters, select your wire gauge size, even your arc force on TIG welding. You got custom-tailored welding at your fingertips, and the best all-around welder. As for actual welding in either mode, the Everlast delivered big time. We were able to get smooth, quick welds on the MIG side. As you know, TIG welding is slower and requires more finesse, but this welder made it easier. We found in this machine the best MIG TIG combo. On the downside, the operation manual needs work, and the price was high. However, the pluses far outweighed the minuses, especially the performance! 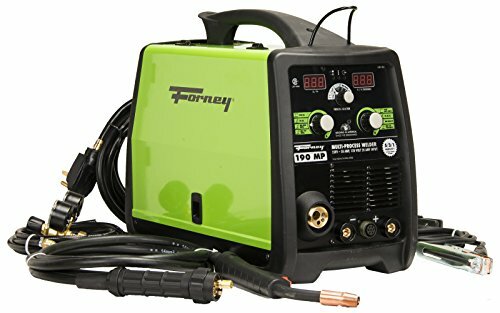 The Forney 324 was not the best multi-purpose welder by any means, but not the worst either. On the plus side, compared to the Everlast (our #1 pick), this welder was a few hundred dollars cheaper and it performed comparably as well in MIG mode. On the minus side, we couldn’t do just wire feed with this to get a good weld. We needed the gas shielding. And it occasionally overheated after a very short time, with no change in settings. As for TIG welding, we discovered that the machine will produce “adequate” welds only with the Forney brand high cellulose rods. But from our experience, you can only order them from Forney; you can’t buy them in the store. This list of minuses added up to it not making our #1 spot on this review. So there were a few small, but annoying flaws with the machine. Still, with ideal conditions in place, it can still turn out to be nearly as good a welder as the number 1 pic. The first feature about the Lotos that caught our attention was the price. It was a few hundred less than #2 and less than half the price of #1. This can put the machine well within your reach. Dual voltage makes this unit very appealing. With the flip of a switch, and the use of a pigtail, you can run the Lotos directly on 110v/20a power, eliminating the need to change out your breakers. While the pigtail is sold separately, we feel the extra investment is worth it. A little generosity in the area of cable lengths gave the Lotus some extra points for value. Whereas many torch cable lengths don’t usually exceed 6 feet, the Lotus gives you over 12 feet, minimizing the need to move the machine closer to your project. However, as this is a multi-process welder, the plasma process, sad to say, did not produce the cleanest cuts. For this reason, it did not make #2 in our review. Consumables are also a potential hassle. If you don’t mind ordering directly from Lotos to preserve your warranty, then you can ignore this. But if you use another brand, you do so at your own risk. In closing, two out of the three processes, the TIG & the stick welding, worked pretty well, while the plasma did only a fair to middling job of cutting. All the same, this still turned out to be the best multi-process welder for the money. Lincoln is one of the big hitters in welding. That’s why it might be a surprise to you that one of their machines is so low on our list. We were a bit surprised too, but stay tuned. To be fair, the K4195 had a few good features, like those we reviewed. It has dual voltage, so you can plug it into any socket without worrying about blowing your breakers. Adjustment was easy with push and turn knobs. It did most welding jobs okay. But we were looking for more than okay, and this was overshadowed by the high price tag. For the amount of money they want for this machine, performance should be outstanding. Speaking of performance, it lacked big time when it came to aluminum welding, which this machine has no process for. Maybe you won’t have to cut aluminum, but again, it’s about value for the money. The point is that if the K4195 will do about the same as other lower-priced models, then why would you spend more? So while this welder didn’t drop to the bottom of our list, it isn’t the best multi-purpose welder, especially considering the price. Getting right to the point, the MIG200GDsv has the distinction of being the worst welder in our review. As we were preparing our list of pros and cons, we noticed we had not come up with any pros. But then we found just one: low price. However, that was nowhere near enough to justify the lack of features or performance. Even our #3 pick had about the same price, better features and welded circles around this one! This machine might have made #3 if it had just delivered the goods. You cannot weld aluminum, as the AC TIG process isn’t there. So if you were absolutely stuck with this welder, you would have to install a 20-amp breaker where you would be using it. On top of all of that, it didn’t come close to performing as the manufacturer intended. So try as we did, we couldn’t find any reason to recommend this welder for any kind of money. There are better welders; stay away from this one. Our reviews were tough, but remember, we’re here to help you, the consumer, to make wise choices. 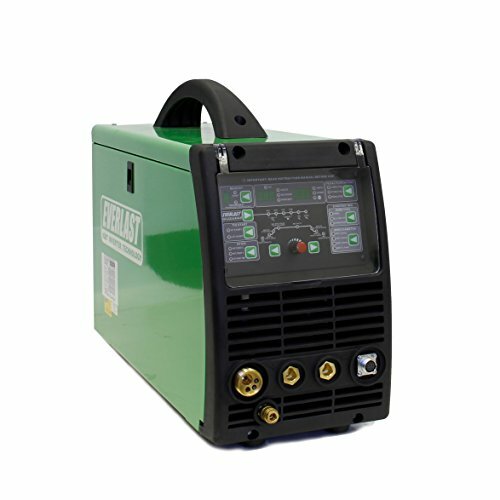 As the name implies, a multi-process welder is designed to perform three types of welding. From the units we tested, those three types of welding are MIG, TIG and plasma cutting. There were a couple of good welders in our review. But taking all items into consideration, there wasn’t a single welder that ticked all the boxes 100%. We tested the welders available and from them we picked the best to the worst. But that may not be good enough for you. And frankly, it doesn’t have to be. This is why this welder buying guide exists. We’ve done a ton of work in your behalf to help you decide which multi-process welder is right for you. Of course, welding needs can be as unique as a finger print. So some of these basics may not even be important to some consumers. So what are some tips for choosing the best multi-purpose welder for your needs? What kind of welding will I be doing? Will I be using it purely for small projects around the house, and maybe some car metal repairs? Will I need to cut metal on a regular basis? Do I need something for more delicate projects? Some machines use 220v/20amp power. Many homes are set up with 115v/15amp service. If you buy a welder that only operates on this service, you will have to turn one or more of your breakers to a 20amp in order to accommodate the machine. Another possibility is to buy a welder that has dual voltage, so you can plug it in anywhere. No need to change out your breakers. If you want an easy-to-use welder that will put out good welds without a huge learning curve, a flux core welder might be all you’ll need. If you need welds where their appearance is as important as their strength, a MIG welder with gas shielding would be the way to go. For slower, more delicate operations, a TIG welder is your tool. How much value am I getting for the money I’m spending? In other words, what do you get for what you plan to spend? This is tougher than it sounds. After all, we found units at a higher price point that did not perform well. They had performance issues, quality control issues as well as problems dealing with customer service. On the other hand, the best welder for the money actually was half the cost of at least two of the others we reviewed. It had a few minor annoyances, but the overall performance and the low price point made up for those things. So when you’re going through this process, don’t just think in terms of the outlay of cash you’re going to put out. Figure out whether the welder you’re considering has all the features you want in it. Then look at the price, and decide if it’s worth spending that much for the welder. If it doesn’t, then look at another unit, and then look at the price again. Rinse and repeat. If you didn’t find all your features in any of the available units, then you have a tough choice. Is there a feature, or maybe more than one, that you may be able to do without? Control in a welder has two components to it. One, even if you’re a beginner, you want to be able to set the machine easily without getting whiplash from going back and forth between the operation manual and the welder. So the more user-friendly the control panel is the greater success you have at putting the settings where they need to be for any particular welding situation. 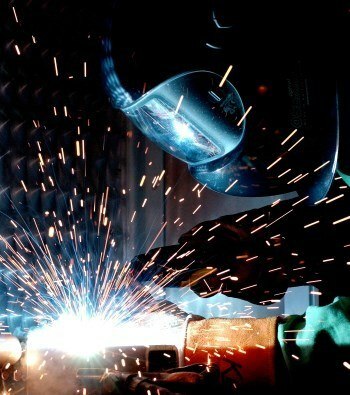 The other component to control is in the operation of the welder itself. A beginning welder might be a bit nervous about this. A good suggestion, even for a more experienced welder, is to practice on some scrap metal to get a feel for the machine. That will get you started. But a huge part of control is during its actual use. The trigger should have an easy pull to it, both for variation of heat or in the case of a MIG welder, how fast the wire feeds. You also want to think about the weight of the gun itself. If it’s a beast, you may have to pause occasionally to rest your arms – unless you’re a beast of a welder! Whatever the case, weight of the gun can make a huge difference in your control. There may be other considerations you decide to make that maybe didn’t make this list. But these are pretty important basics. Still, you don’t have to be locked in to these. As we stated earlier, the needs of a welder are as unique as their fingerprints. So take some reasonable time to decide on the welder that fits your needs. And remember to think about what you’re getting for the money you plan to spend. This review was a bit tougher than usual, like reviewing three welders in one – for each product! As they say, it was a tough job, but someone had to do it. All that effort was done in your behalf. Choosing any product online can be a challenge. Choosing a welder of any type takes the challenge up a notch. In our reviews of multi-process welders, we found the Everlast Power MTS 211Si was the best of them all, even at its price. 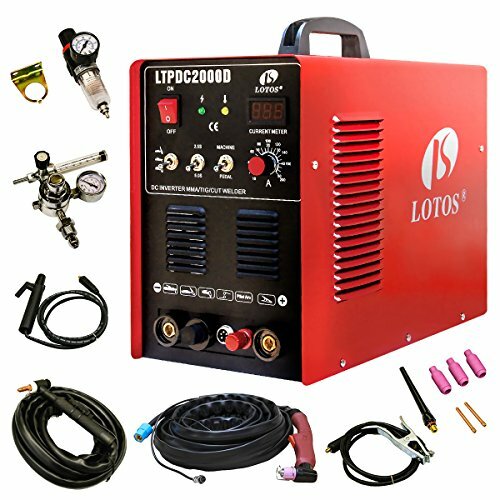 The best multi-purpose welder for the money was the Lotos Technology 04-ZVGR-0O8D. The Everlast was higher-priced, but it out-performed the Lotos. Still, the Lotus performed amazingly well considering it was less than half the price of the Everlast. In the big picture, it still boils down to what you get for what you spend. We hope this review was helpful to you in choosing a multi-purpose welder. Also feel free to check out our flux core welder & cheap welder buying guides. They’re very popular, and we’re sure you’ll love these 2 guides!